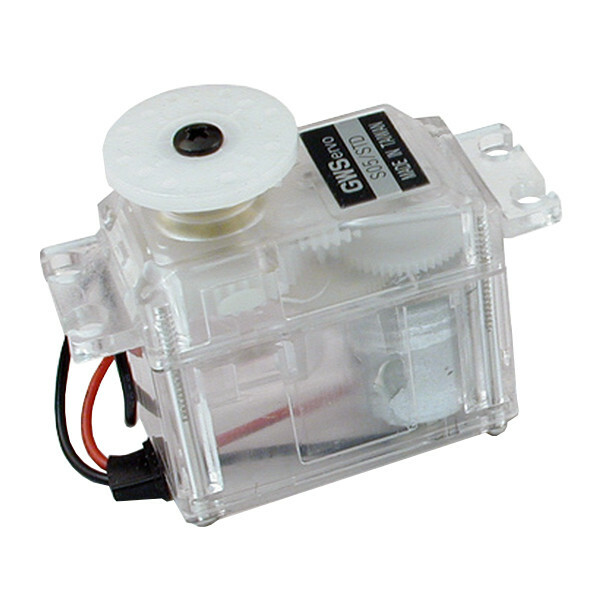 The Solarbotics GM4 Gear Motor is a gearbox motor that has a unique clear servo body. This motor provides a good amount of torque with a gear reduction ratio of 325:1. It can be operated from 3-9V. At 6V the unloaded output shaft will spin at 77 RPM while consuming about 93mA. Stall torque at 6V is 50.94 ounce-inch which consumes about 529mA. What makes this motor unique is the clear servo body. Unlike a continuous rotation servo, there is no servo circuitry inside to control the motor. Instead of sending servo pulses, the motor is controlled using traditional methods such as polarity reversal to change directions and PWM to change the motor speed. The servo body can make mounting easier and the standard sized shaft is compatible with our selection of servo wheels. This motor comes with the usual assortment of servo accessories. 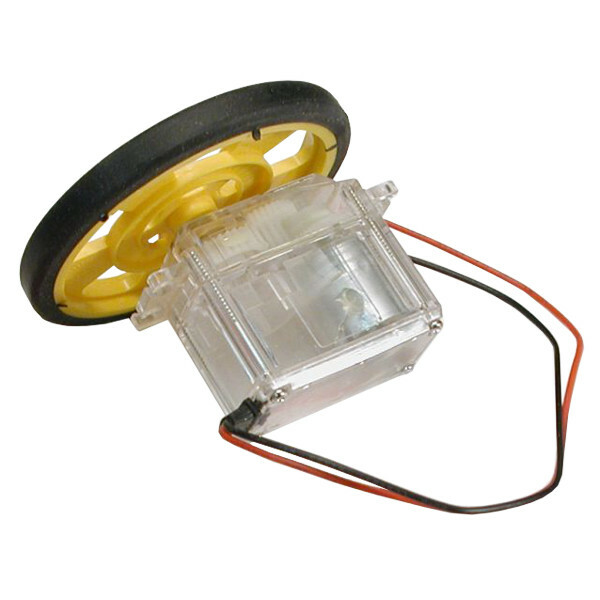 Attach a servo compatible wheel to get your robot rolling.